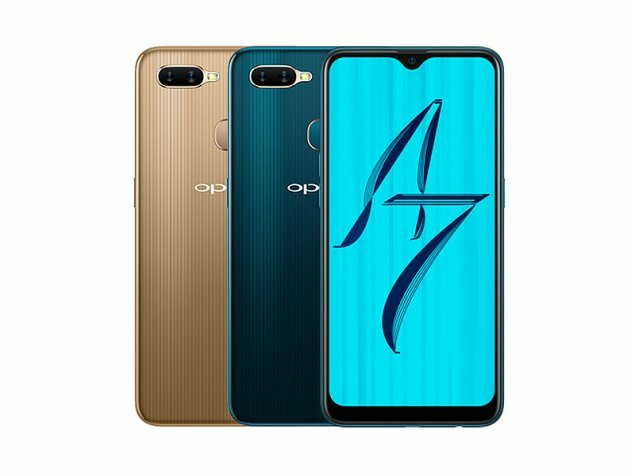 OPPO, a leading global smartphone brand today extended more reasons to celebrate the festival of Holi this year by announcing a discount on two of its bestseller smartphones - OPPO A7 and OPPO A5. Launched last year, both the smartphones were acclaimed for its exceptional features and high-end design. Starting 20th March, customers can purchase OPPO A7 4GB variant at an attractive price point of INR 15,990 and OPPO A5 at an irresistible price of INR 11,990 on Flipkart, Amazon, PayTM, Snapdeal, TataCliq and at all OPPO mobile stores. OPPO is a leading global smartphone brand, dedicated to providing products infused with art and innovative technology. Based on the brand elements of young, trend-setting and beauty, OPPO brings consumers delighted experience of digital life. For the last 10 years, OPPO has been focusing on manufacturing camera phones, while innovating mobile photography technology breakthroughs. OPPO started the era of Selfie beautification and was the first brand to launch smartphones with 5MP and 16MP front cameras. OPPO was also the first brand to introduce the motorized rotating camera, the Ultra HD feature, 5x Dual Camera Zoom technology. OPPO's Selfie Expert F series launched in 2016 drove a Selfie trend in the smartphone industry. In 2017, OPPO was ranked as the number 4 smartphone brand globally, according to IDC. More than 200 million consumers are using OPPO smartphones. OPPO’s business has covered 40 countries and regions, with over 400,000 stores and has 4 research centres worldwide, providing excellent smartphone photography experience to more and more young people around the world. In 2018, with the launch of Find X, OPPO introduced panoramic arc design with a screen ratio of 93.8%, the largest screen-to-body ratio in the mobile phone market today. In addition to this, OPPO recently introduced SuperVOOC flash charging technology with the launch of R17 PRO.